Earlier this year I got it into my head to take a solo show to the Edinburgh Fringe Festival, and it seemed like a great idea except for not having a solo show to perform. 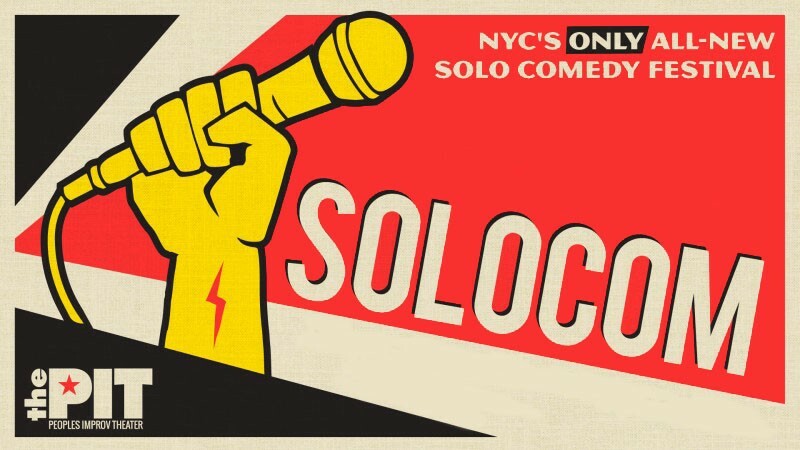 Nine months later (what an interesting time frame) my show Voice of Authority has been accepted into SOLOCOM, the solo comedy festival at the People’s Improv Theater. It will premiere November 18 at 2pm. It’s about getting sued by the US government for $19 million, so you can already tell it’s hilarious. And it has a super hero in it named Zachary. And by superhero I mean he’s an 80-year-old, retired ballet dancer. He saves me. I have several people to thank. First Peter Michael Marino whose class got me on track to get this written after years of dabbling with it, Rajendra Ramoon Maharaj who made me write the original messy rough draft during my residency with Rebel Theatre, Alisa Kwitney who always gets stuck helping me with my writing and always stays in a good humor anyway, Phoebe Leonard who read all 789 drafts of the thing, Alex Tuller who read none of the drafts at Peter’s advice but has been supportive all along the way, and of course Zachary, who died in 2004. He was my mentor. He changed my life even if he really pissed me off when he did. And they say anger is a good source for comedy, right?